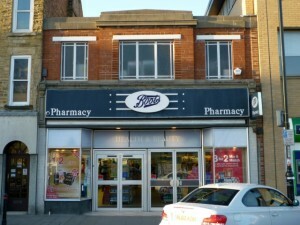 Imagine a small town whose Woolworths opened in the 1930s, closed in the 1970s, and is now occupied by Boots. 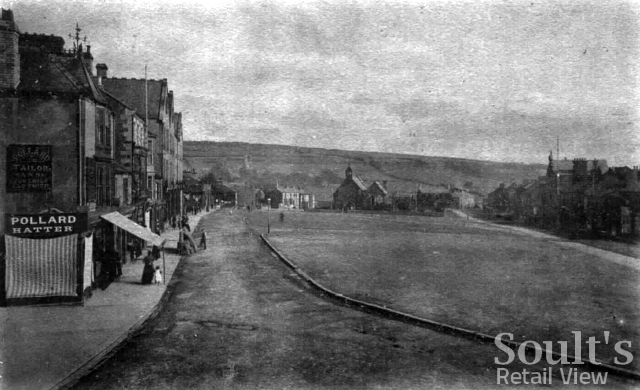 A town where, even all those years later, the building is instantly recognisable as a former Woolies. 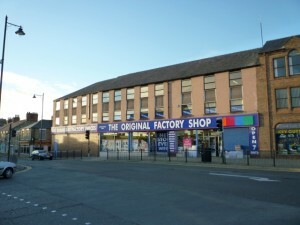 A place where, in 2010, discount retailer The Original Factory Shop has to some extent assumed Woolies’ place as a variety store at the heart of the town. 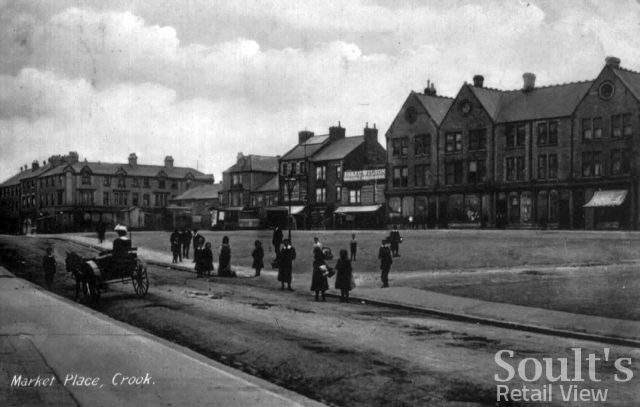 No, it’s not a rerun of my earlier blog post about the former Woolworths in Horley, Surrey, but the small County Durham town of Crook – along with Seaham, one of two urban centres in the county that had lost its Woolies many years before the retailer collapsed. Between the 1830s and the end of the 19th century, the village of Crook blossomed into a town, its population growing from 200 to more than 12,000 on the back of the coal mining industry. The area around the Market Place grew into an important shopping centre for the town, with the imposing premises of the Crook Industrial Co-operative Society opening in North Terrace in 1876 – dominating the right-hand half of the early 20th century photograph below, but now demolished, and replaced by the town’s council offices. Comparison of the photographs above and below shows that Crook’s purpose-built Woolworths store was slotted in between the existing buildings, replacing what is shown in the earlier shot as the two-storey premises of Isaac Wilson. Unsure of when exactly Woolworths in Crook had opened, I turned to the Crook & District Local History Society, to see if anyone local could shed some light on the subject. 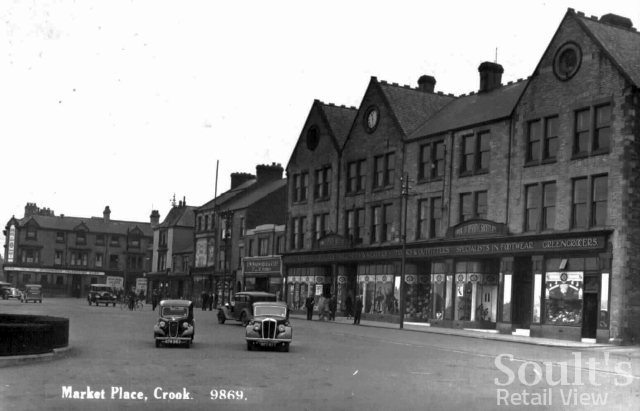 The familar architecture of Crook’s Woolies store, and the fact that Crook was unlikely to have been a particularly early Woolies opening, had suggested to me the early 1930s, an assessment that proved correct. This could well mean that the Crook branch was Woolies store #529, as that’s the only store opened between late 1933 (520 Alloa) and mid 1934 (536 Fareham) for which I have a number but no name. 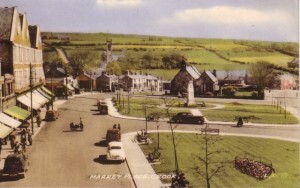 Go forward to the 1950s, and the Woolies store is clearly visible, with its awning, on the left-hand side of the postcard above. 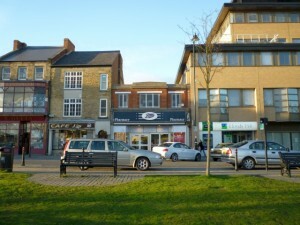 Beyond it, the tall buildings of the Co-op store still dominate the town’s Market Place. By the end of the 1960s, however, Crook was experiencing significant changes, with the mines all closed, the railway gone, and its population declining. Against this backdrop, and with the much larger Bishop Auckland Woolworths just six miles away, it’s perhaps unsurprising that Crook’s Woolies was one of the first in the North East to be closed. With previous Woolies blog posts, Soult’s Retail View readers have done a fine job of filling in the knowledge gaps. Can you rise to the challenge again this time? 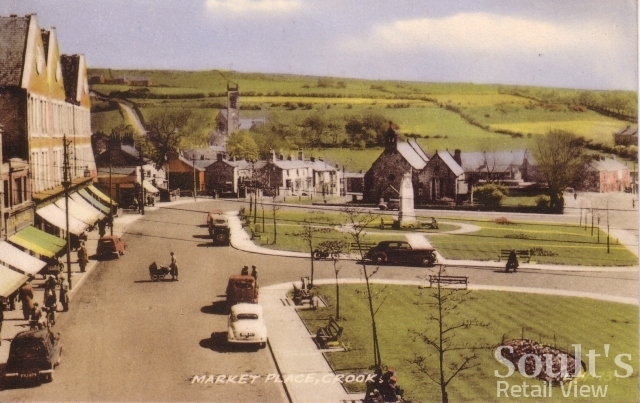 Many thanks to Crook & District Local History Society – and particularly to Brenda Smith and Harry Brook – for letting me use its historic photographs of Crook Market Place, and for providing the answer to the question of when the town’s Woolies store opened. 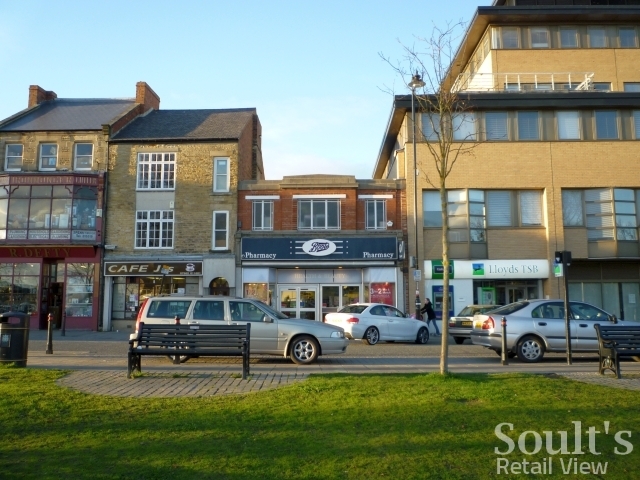 Soult's Retail View » Blog Archive » Can anyone remember Ashbourne’s long-closed Woolworths?